Workey’s not the only AI company increasing its cash supply. Opening.io (first mentioned here) won an investor-day pitch contest. Andela is expanding to a third African country. It vets and places developers. An interesting new site aimed first at U.S. employers, though launching out of India, is Talismatic, whose parent company is Propellum. Talismatic combs corporate career pages to produce analytics like “closing time” to see how a company’s time to fill compares to its competitors. You can see where your competitors are hiring, the skills they’re looking for, and the education they want in people. The “talent density” feature shows which cities have the candidates you want, and the “recruitment sources” features shows which universities and companies have candidates with the right skills. Yes, there’s another bot for jobs, appropriately named JobBot. And, there’s a new platform for referrals, Preferhired. But, “ours is like no other,” says Bridget Webb. Referrers are paid not just for a hire, but throughout the process, such as for providing a good applicant, a good interviewee, or a good hire. Hiring managers control when and how much people are paid. Webb says companies from a wide variety of industries are coming to Preferhired without the company doing a ton of sales/marketing, but it sees itself really targeting high-volume industries like transportation, healthcare, retail, and hospitality. It’s not brand-spankin’ new, but a company I chatted with recently and we haven’t covered a ton is Perengo. It’s in the programmatic business, but focused on hourly workers in industries like nursing, retail, transportation, and the new on-demand types of companies. LADIV, out of the Netherlands, is launching in the U.S. Among other features, candidates record 30-second videos about themselves. For healthcare sourcing comes Rekruti, out of Montreal. 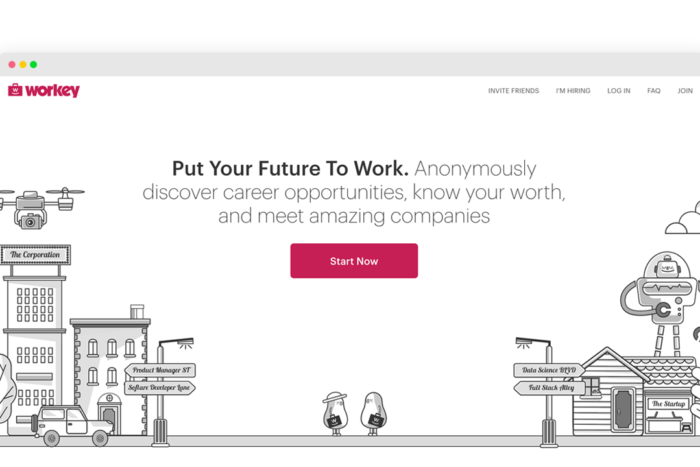 Women 2.0 is launching a job board for hiring women in technology, called Lane. It’s working with Meetup, Box, Asana, and Square. The CEO, Kate Brodock, tells me she sees its advantage as a for-profit company as having more potential to be a scalable, one-stop shop than a non-profit. You might remember that I once mentioned the recruiter John Reagan who was working on a recruiter-review site. Someone else is working on a site like this now. Kurt Smith, an ex-Randrr employee, is putting together a business plan for a site he’s calling Recruitsy. “Think of this product as Yelp or Glassdoor for candidates rating experiences with recruiters and for recruiters to manage their brand reputation,” he says. Crypto and blockchain for recruiting? It was only a matter of time.